Leonid Grigorievich Tkachev turns 80! 20 января 2019 г. исполнилось 80 лет начальнику сектора астрофизических исследований Научно-экспериментального отдела физики элементарных частиц ЛЯП ОИЯИ Леониду Григорьевичу Ткачеву. January 20, 2019 marks the 80th birthday of Leonid Grigorievich Tkachev, Head of the Astrophysics Research Sector, Elementary Particle Physics Department, DLNP. He began to work at JINR in 1963 as a postgraduate attached to the Laboratory of Theoretical Physics, and in 1966 he took the position of a researcher at the Laboratory of Nuclear Problems. He actively participated in the preparation of the large-volume liquid-hydrogen chamber project and then was engaged in theoretical and methodological investigations into the operation basics of the ultrasound bubble chamber. In 1972, based on the results of those investigations, L.G. Tkachev successfully defended the Candidate of Sciences dissertation. Over that time, he grew into a highly skilled specialist capable of solving complicated scientific, technological, and organizational problems. In 1975–1984 he worked at the RISK facility and made a substantial contribution to the analysis of the experimental data and development of several key units, such as the gas system, readout system, and some others. In addition, he contributed to the successful organization of the international team’s work at all stages of preparing and conducting the experiment at the RISK spectrometer at the IHEP, beginning with the design of the spectrometer and ending with the analysis of the data. Young scientists, postdocs, and senior students focused on astrophysics and cosmology! Registration for the XVI Baksan School on Astroparticle Physics “Particles and Cosmology” is open until 1 February 2019. The School will be held in Terskol, Kabardino-Balkaria, Russia, on 10–18 April. 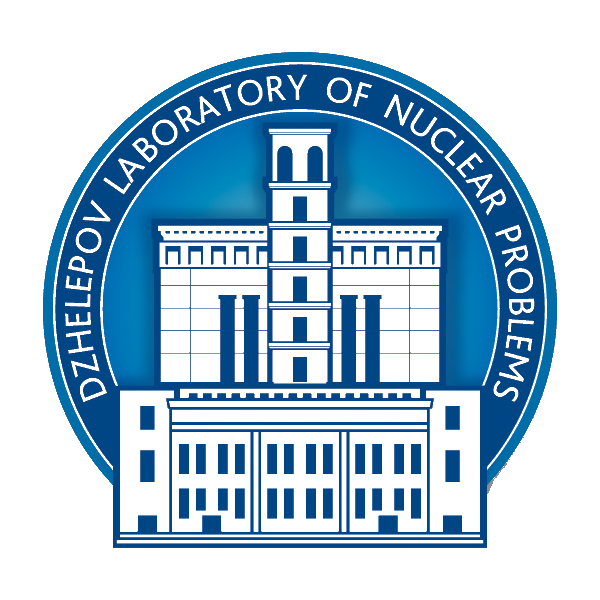 The Organizers are the Institute for Nuclear Research, the Dzhelepov Laboratory of Nuclear Problems (Joint Institute for Nuclear Research), and APPEC. The School is devoted to discussion of experimental and theoretical aspects of modern astrophysics and cosmology problems. The programmeincludes three main lecture courses with teaching aids, practical and discussion sessions, a few special lectures and a special seminar for participants’ presentations, and an excursion to the underground laboratories of the Baksan Neutrino Observatory. On 12–18 January 2019, a meeting on the JUNO project is held in Shanghai. JINR has been participating in the JUNO collaboration for about four years. In 2020, it is planned to begin commissioning of the reactor neutrino experiment in China, where construction of a large laboratory, the Jiangmen Underground Neutrino Observatory, is now well underway 150 km off Hong Kong. The main goal of the experiment is to determine the neutrino mass hierarchy by precision measurements of neutrino oscillations. JINR is represented by a team of about 10 scientists, mainly from our laboratory. Results of the molecular (PCR) analysis of γ- and neutron-induced mutations of the white (w) gene localized in the Хchromosome of Drosophila melanogaster are reported (authors: E.V. Kravchenko, A.N. Russakovich, F. Elnoamani, S.V. Dubovik, S.E. Hassab-El-Nabi,, M.V. Aleksandrova, and I.D. Aleksandrov). Dose dependences of gene mutations induces by γrays and neutrons were preliminarily studied and found to be linear. Investigations aimed at searching for possible existence of quark–antiquark pairs in a nucleon with a distribution similar to the distribution of valence quarks at large fractions of the quark momentum were reviewed. Andrei Sheshukov won the First Prize in the JINR Prize Competition for young scientists and specialists! We congratulate Andrei Sheshukov on winning the First Prize in the category “Scientific methodological and scientific technical work” of the JINR Prize Competition for young scientists and specialists! The participants in the competition were the winners of the section sessions of the JINR AYSS conferences and schools AYSS2018, Alushta 2018, and FallingWalls LabDubna 2018. Today a regular seminar was held at the Department of Multiple Hadron Processes.Grach Torosyan spoke about the first results of observing microseismic phenomena with the Precision Laser Inclinometer at the Garni International Geophysical Observatory (Armenia). On December 4–5, 2018, D.N. Naumov will hold lecture meetings with the teaching staff and students of the Faculty of Physics at Tomsk State University.He will talk about the scientific, educational, and innovational activities of our institute, elaborating on the Neutrino Programme, especially the deep-water Baikal neutrino telescope.Collaboration within the Baikal–GVD experiment is a unique and quite real opportunity to participate in the world-class research project.